Did you know that in 1912, Charles C. Chillingworth’s Palm Beach County Land Co. bought 12,133 acres and laid out the plat for Palm City and Palm City Farms, marking the start of Palm City, Florida? During the land boom potential Buyers were very often taken out by horse and carriage to discover the beauty of Palm City Farms! 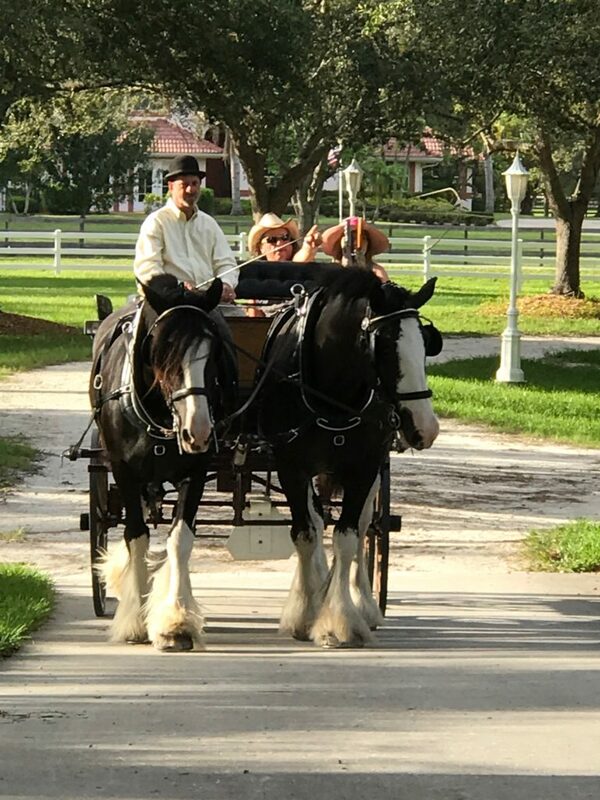 Our horse-drawn carriage rides are now available throughout the summer evenings from our farm in Palm City, Florida (weather permitting of course) We will provide fun history about Palm City Farms while our majestic Clydesdales clip-clop around the farms. By advanced reservation only. Groups up to 10 people per carriage!